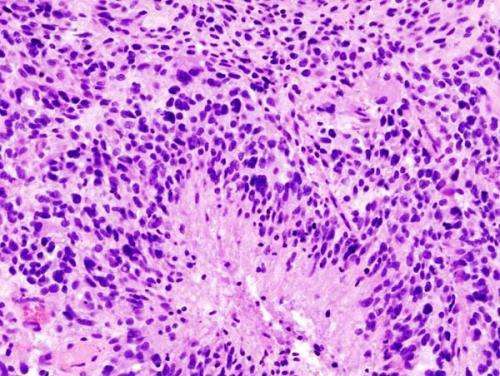 A large team of researchers from several institutions in the U.S. and India has created an anatomic transcriptional atlas of human glioblastoma—an aggressive form of brain cancer. In their paper published in the journal Science, the group describes the process by which the atlas was created and what it contains. It is called the Ivy Glioblastoma Atlas Project. Glioblastoma, as the researchers note, is an extremely aggressive form of brain cancer. Even with the most advanced treatment, most patients do not live more than a year after diagnosis. Because of its unique nature, the researchers concluded that an atlas was needed to combine results from research efforts. Such an atlas, they reasoned, would not only help with ongoing research efforts, but in diagnosing and treating patients. In setting out to build the atlas, the researchers noted that a lot of research has been done to understand and control glioblastoma. Much of it has centered on genomic alterations, which has resulted in the creation of gene expression profiles that describe the nature of tumors. To make the atlas, the researchers used records created for 41 actual patients—each offers general information about a patient along with information about genetic testing that was done to find expression signatures. In many cases, signatures for different parts of a given tumor are described—they offer information about discreet cell types that can provide targets for research efforts. The records also typically hold histological information for various parts of the brain. It also includes relationships that have been observed between clinical and genomic information. 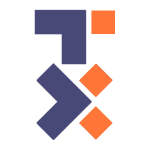 The resulting atlas is freely available online. The researchers offer examples of its use in research efforts. In one case, a team used it to sift potential drug treatments geared toward specific types of tumors. Another team used it to zero in on tumor areas, revealing cells involved in initiating tumor growth. Going forward, the researchers believe that as the atlas evolves and new information is added, it will become a valuable research and treatment tool. Glioblastoma is an aggressive brain tumor that carries a poor prognosis. The tumor's molecular and cellular landscapes are complex, and their relationships to histologic features routinely used for diagnosis are unclear. We present the Ivy Glioblastoma Atlas, an anatomically based transcriptional atlas of human glioblastoma that aligns individual histologic features with genomic alterations and gene expression patterns, thus assigning molecular information to the most important morphologic hallmarks of the tumor. The atlas and its clinical and genomic database are freely accessible online data resources that will serve as a valuable platform for future investigations of glioblastoma pathogenesis, diagnosis, and treatment.